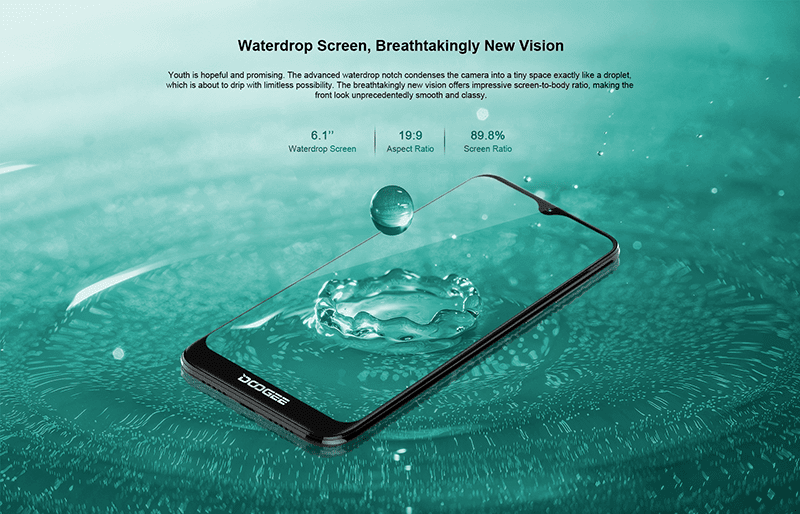 In China, Doogee announced the Y8. It's a smartphone equipped with a stylish gradient design and a waterdrop display on a budget. 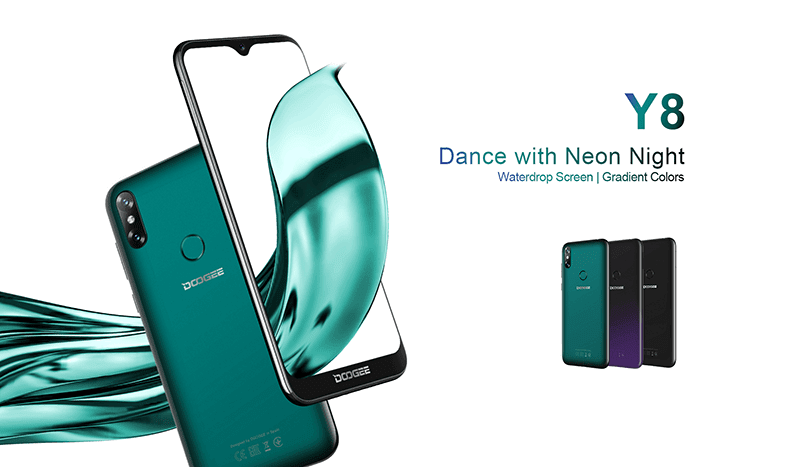 Doogee Y8 comes in emerald green, midnight black, and phantom purple color options with nano-vacuum Optical Coating Process. In front, there's a 6.1-inch IPS LTPS 19:9 display with 1280 x 600 resolution, tiny waterdrop notch, and an impressive 89.8 percent of screen-to-body ratio. There's a chance that the screen-to-body ratio claim of Doogee may not be accurate though. Why? The bezel below that is thick enough to house the Doogee logo. Overall bezels are still considered as slim at this price point. Under the hood, the Y8 is powered by MediaTek's 64-bit MT6739 quad-core processor clocked at 1.5GHz paired with PowerVR GE8100 GPU. It also has 3GB RAM, 16GB expandable storage with microSD card, and 3,400mAh battery. On the camera part, there's an 8MP + 5MP AF dual-camera setup at the back. The secondary 5MP sensor is for the bokeh effect. For selfies, you will find a 5MP shooter with f/2.2 aperture size and 80-degee wide-angle mode. The handset also has face unlock tech, fingerprint sensor at the back, 4G LTE, Bluetooth, GPS, and dual SIM slots. Doogee Y8 boots with Android 9.0 Pie out of the box. Android Pie has AI optimizations for performance and adaptive battery tech. It measures at 156.8 x 75.25 x 9 mm and weighs at 150 grams. 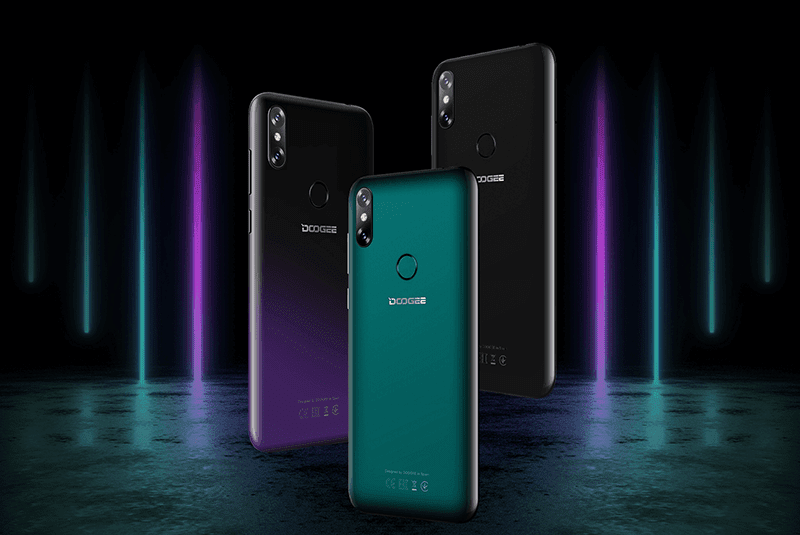 At AliExpress, the Doogee Y8 is currently on sale for just USD 69.99 or PHP 3.6K only. The SRP is USD 89.99 or around PHP 4.6K. There's no word yet when will it arrive in the Philippines. So far, Y8 is a promising budget Android smartphone.